Tiny Ralph S. Mouse lives in a mouse hole in Room 215 of the Mountain View Inn. 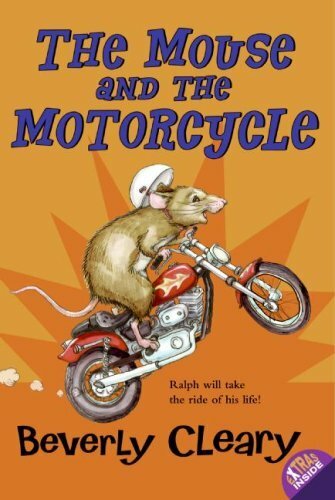 Life becomes downright thrilling when Keith and his family stop at the inn for a few days, and Keith lets Ralph ride his toy motorcycle. A heartwarming story of responsibility and trust. Illustrations. Used Good (9 available) Shows some signs of wear, and may have some markings on the inside. 100% Money Back Guarantee. Shipped to over one million happy customers. Your purchase benefits world literacy! Used Good (5 available) Former Library book. Shows some signs of wear, and may have some markings on the inside. 100% Money Back Guarantee. Your purchase also supports literacy charities. Used Good (2 available) Shows some signs of wear, and may have some markings on the inside. 100% Money Back Guarantee. Your purchase also supports literacy charities.